Today on the blog we’re listing 5 more of our favorite Jamaican wedding venues for 2019. See several options across the country, from the beautiful white-sand beaches of Negril to the popular hotel hub of Montego Bay. Soak up the Reggae vibes, with venues that range from elegant to casual, featuring resorts that have relaxation in mind. Destify Couple Tonya and Omar in Ocho Rios. The family-friendly Jewel Runaway Bay resort promises adventure for guests of any age. Located along Cardiff Hall Beach, the tropical playground features lush foliage throughout, access to world-class golf, and plenty of opportunities to relax amongst the many hammocks. For added luxury couples can book a romantic suite that features personal butler service and its own private plunge pool. You can even host a most unique destination wedding, as couples can book the seaside chapel, an open-air venue featuring elevated ocean views. The Hyatt Ziva offers an attractive pier that would make for an elegant destination wedding, with crystal clear waters lapping in the background. Split into two sections, the pier can accommodate both larger weddings, with guests sitting along the beach, or a smaller ceremony further out amongst the gazebo and boardwalk. The resort is surrounded by beaches and pools, with delicious restaurants and even equipped with an on-site jerk shack so you can enjoy some of the local delicacies. 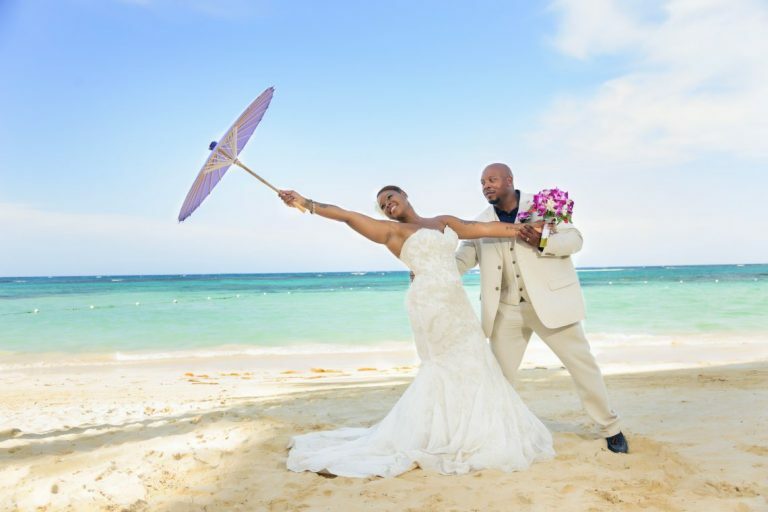 Sunscape Splash Montego Bay offers a central location, and plenty of wedding options that will be unforgettable, without breaking the bank. 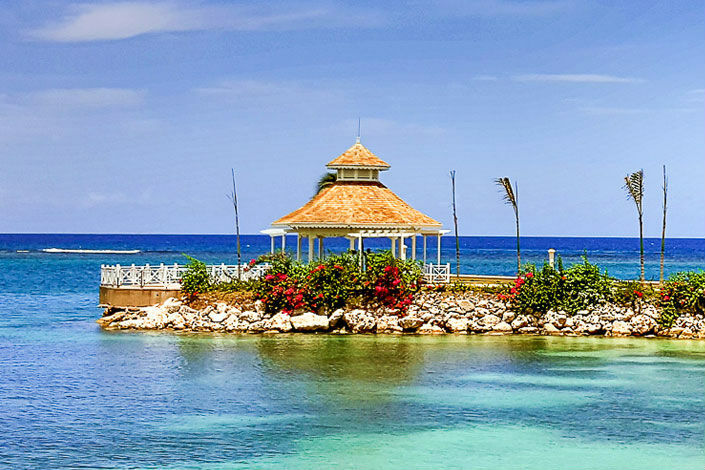 Room rates are economical, and the resort features access to both a full-sized waterpark and the Montego Bay Marine Park, ready for underwater exploration. 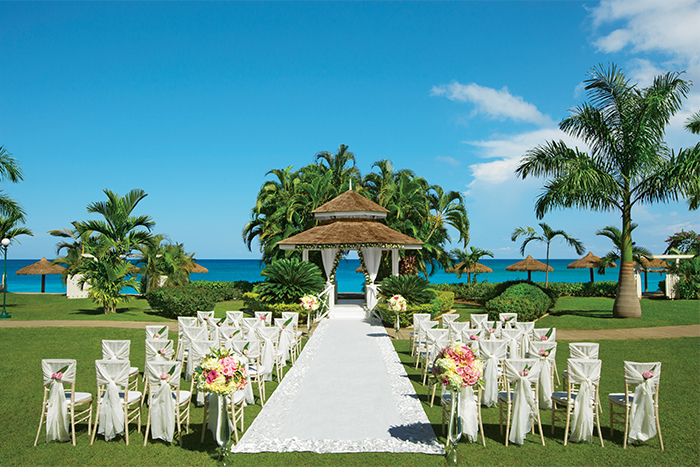 The garden venue is lushly manicured and features jaw-dropping views of the Jamaican waters, ideal for a private reception or cocktail hour immediately following your ceremony. In the past few years, Moon Palace Jamaica has undergone a complete renovation. Enjoy the lavish new digs, featuring marble interiors and extravagant decor. 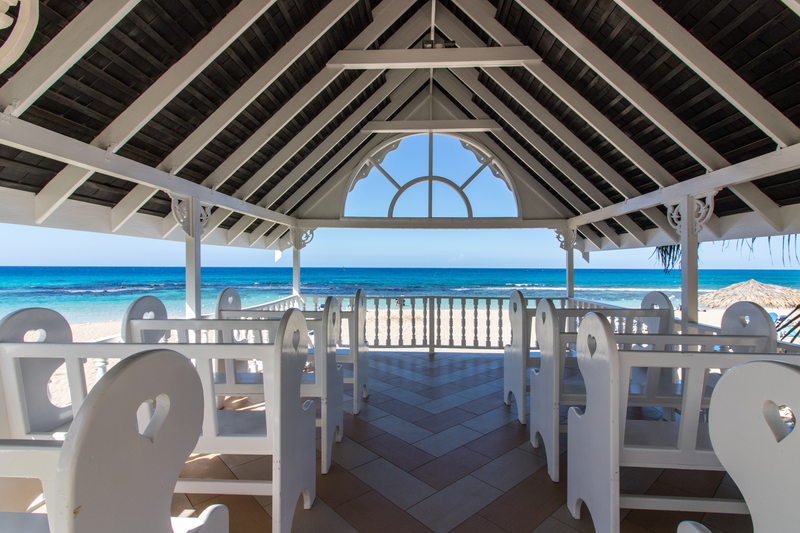 The wedding venues are classically styled, and guests will love attending your destination wedding at the oceanfront gazebo, offering a bit of privacy and a pathway that will provide an unforgettable ceremony entrance. There is plenty to do after the wedding, from motion simulators to dolphinariums, and tours to visit local waterfalls or partake in river tubing adventures. The modern RIU ClubHotel in Negril offers both a stunning location along famous Bloody Bay Beach and stunning wedding and room rates too. Guests can have it all, with exciting nightlife aplenty, and access to the 7-mile strip of beach, constantly rated one of the top beaches in the world. 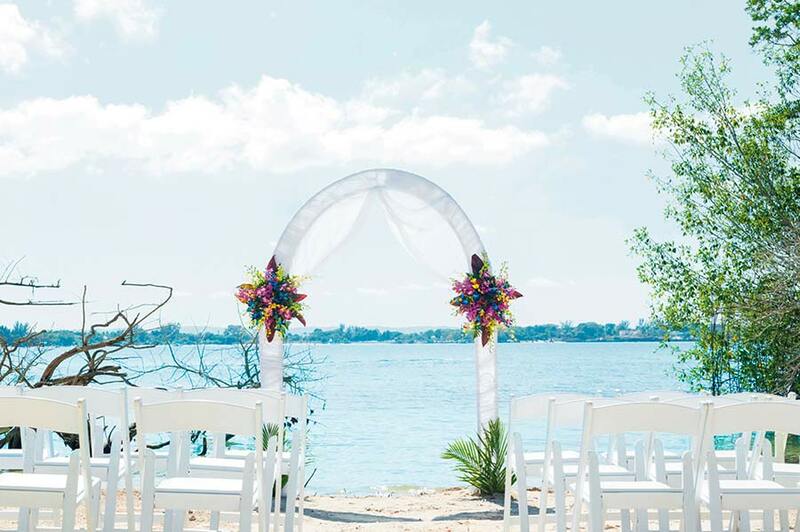 That’s why it made the list for its beautiful beachfront ceremony location, able to accommodate guestlists large and small, and perfect for the beach wedding of your dreams. 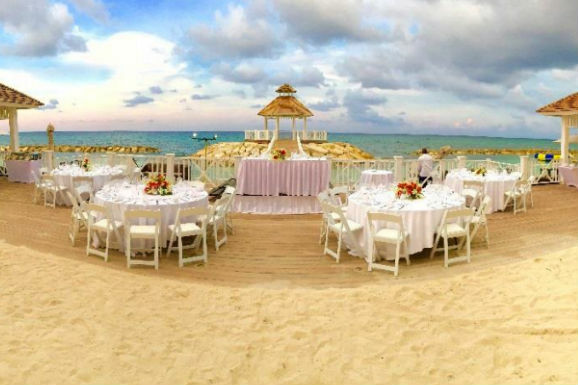 Ready to see even more gorgeous Jamaican wedding venues? Click the button below to see some of the other options Jamaica offers.